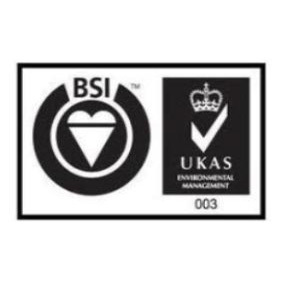 We are very pleased to report that following a two day British Standards Audit that assessed our Environmental Management System (EMS), our System has been recertified to ISO 14001 Standard. The results from the audits undertaken and from the Site Inspections indicate a smooth running environmental management system. One of our main Environmental objectives refers to the energy efficiency action plan (viewed by the Auditors) which sets out responsibilities and tasks. This action plan contains a good mix of actions, showing attention to detail and commitments to improvements. The organisation is dealing well with the changes caused by the new Waste Regulations 2011. New Ruggles & Jeffery waste transfer notes have been printed to comply with the new Waste Regulations and are now in use. A Register of Waste Contractors Carriers Licenses & Disposal Site Licenses or Exemptions is maintained. This is a useful document in line with best practice, to track and illustrate care of waste under the Waste Regulations 2011. Within our energy efficiency plan , we have been paying particular attention to one of their most significant aspects – vehicle mileage. The company expects vehicle usage to be a particular area for 2012 environmental targets. We are delighted that our robust approach to environmental issues has been recognised.